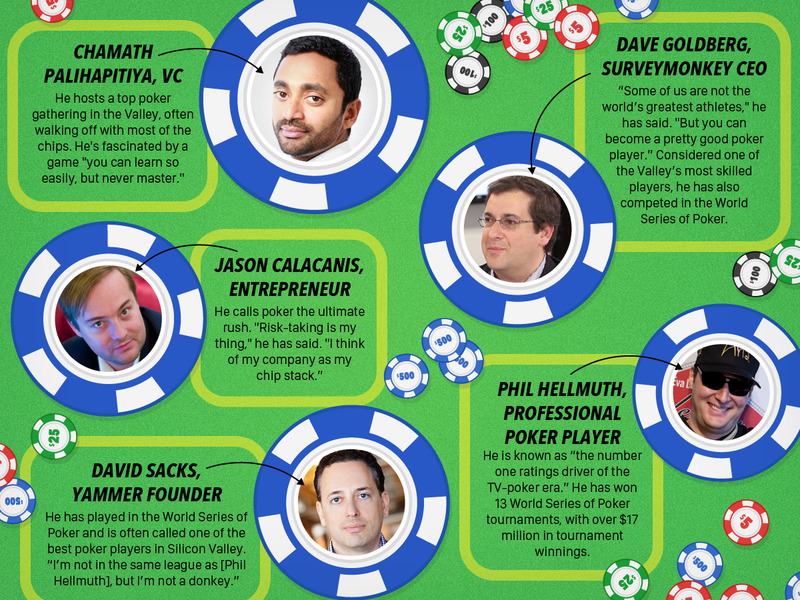 That’s what makes poker such a complex – and fascinating – game, Palihapitiya says. There’s a chance of overcoming a poor hand, if you play it smart. Or you could lose everything with a single mistake, just when you thought you were going to win a big hand. Depending on how you play each round of betting, you could completely change the outcome of the game – regardless of what cards you are dealt at first. It’s just like being born into terrible circumstances in life, but finding ways to overcome it and succeed. Palihapitiya relates to it personally, as he is a classic “rags-to-riches” story, having grown up on welfare as an immigrant in Canada to become one of the most successful tech entrepreneurs ever. “That’s a characteristic of this game that very few games have,” he says. You make plenty of mistakes in poker. The point is learning from those mistakes and fixing it in the future. “When you misplay your cards and lose a big hand, it’s an unbelievable moment of learning,” Palihapitiya says. It’s one thing not to repeat the same mistake, but it’s also important to know when you win by sheer luck. “Sometimes you just do something and it completely works, and you think to yourself, ‘I must be really good.’ The takeaway should be the exact opposite – you may have just gotten really lucky,” Palihapitiya says. An average person’s life spans 80 to 90 years. Most startups are on a five to seven year trajectory. A single round of poker, however, happens in a matter of just a few minutes. 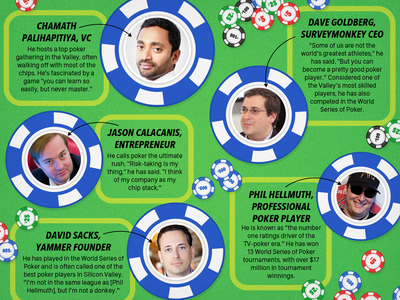 “Every hand in poker is a microcosm of that entire struggle (of life or a startup),” Palihapitiya says. You have to make quick decisions – and take risks – in a short period of time, with very limited information, and those decisions could have huge impacts on the outcome of the game. It’s why good poker players know how to make the right decisions quickly and take risks when needed.